World Affairs Council Inland Southern California - Faces of D.A.C.A. Explore how global - local issues meet in our own community. Tomás Morales, PhD, president, California State University San Bernardino, James Sandoval, PhD, vice chancellor, University of California Riverside. Current political debate in this country tends to polarize issues more than explain them. DACA has certainly been one of those over the past few months. 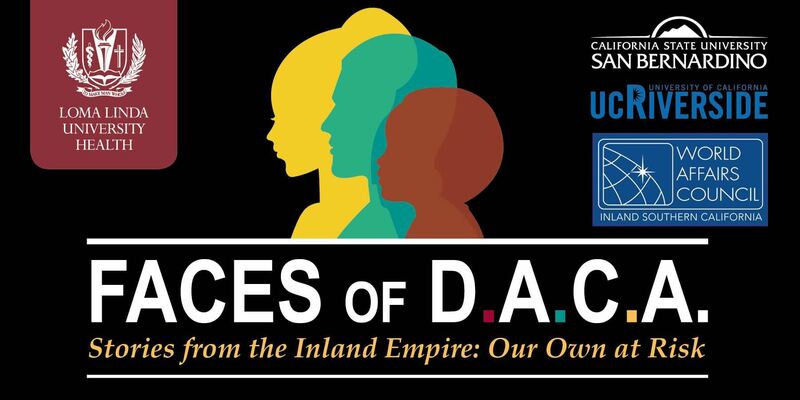 Our local universities - Loma Linda University, California State University San Bernardino, and University of California Riverside, would like to step away from these politics and share the journeys of our own DACA students. Come meet our young people and hear their stories of challenges and success as they find their way in our communities.